The financial services industry highly values portfolio & asset management systems to drive efficiencies for wealth managers, asset managers and advisors while enhancing decision making and improving relationships with their clients. In today's complex and competitive investment landscape, asset managers rely on technology to keep them ahead of the curve. iDEAL Wealth & Funds is a unified and integrated portfolio & asset management and client relationship management solution to deliver the tools needed across the entire enterprise from front, middle and back offices on a single platform. 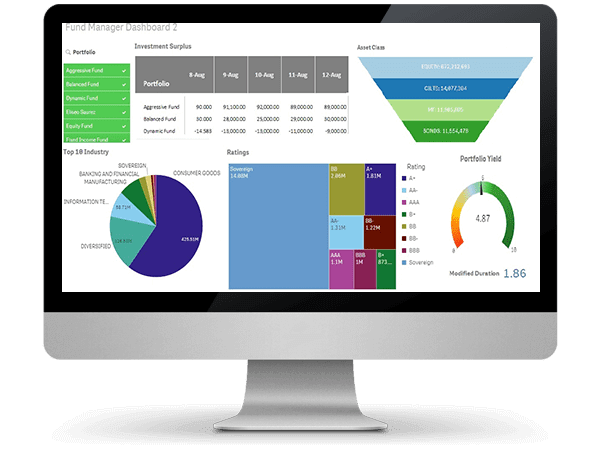 The solution offers portfolio tools, reliable data and calculations to streamline workflows and support the objectives of end users, while improving investment managers' ability to effectively communicate portfolio performance and deliver returns for the clients they serve.